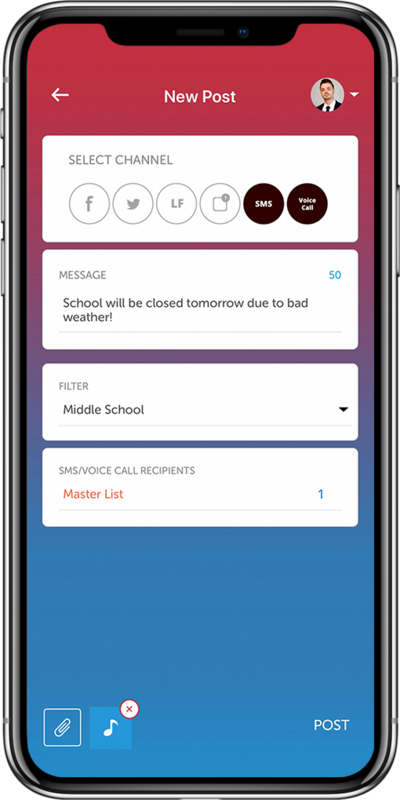 Faster school alerts and emergency notifications - from one simple tool. With Thrillshare, you can send text messages, voice calls, social media posts, and smartphone push notifications with the click of a button. Sending alerts has never been this easy. At a moment’s notice, you can open the Thrillshare app and instantly reach your audience. Customize who receives a message, record a voice call, or choose text-to-speech, all with a few taps. When you need to send an alert to your community, there’s no time for managing multiple tools. Thrillshare mobile allows you to write and send alerts quickly from anywhere. 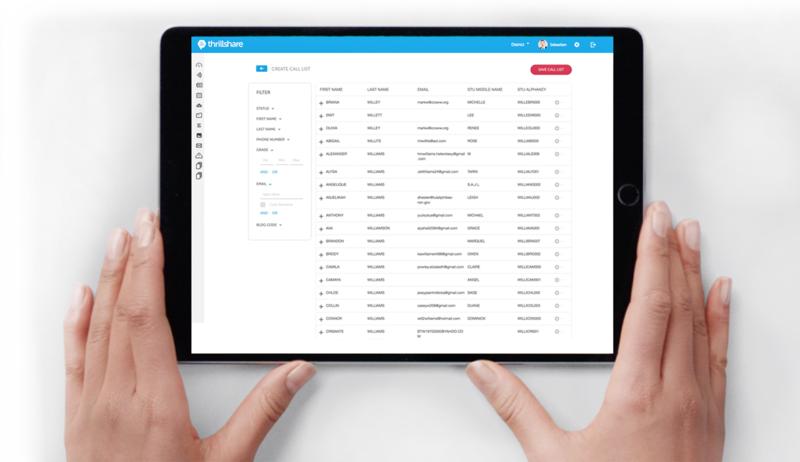 Our database integrations team works with over a dozen school information systems to automatically integrate your SIS with Thrillshare. We’re adding more every month. With intuitive list management, you can be sure that the right audience gets the right alerts.